Teach for India is a non-profit organisation that believes in giving all children an excellent education. 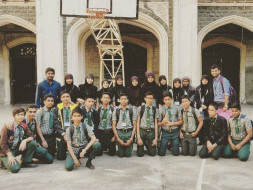 I pursued my fellowship with them, at Ja'fari English High School, in Govandi, Mumbai. I taught 140 children along with my co-teachers from Teach For India for last 3 years. My students come from a community where violence is high. They come from a community where there is a lot of gender discrimination. They have no exposure to the world outside Govandi. It has the lowest human development index in the city and is constantly in the news for malnutrition deaths, dumping ground, Drug Resistant Tuberculosis cases, human rights violation etc. Teach For India had adopted these students since they were in 3rd standard and every year Didis and Bhaiyyas came and taught them to dream big, always be hopeful, know about their strengths and weaknesses, be confident yet respectful, be competitive yet empathetic, apart from teaching literature, mathematics, science and social studies. Now, these students of ours had appeared in the SSC board exam in March 2017. Without any tuition, a girl has got 85% on aggregate; she even got 95 in her Mathematics paper. In fact the first 3 toppers from Ja'Fari are girls, who never went for tuitions in their life. Out of the 112 that appeared this year, 7 got distinction (70% and above), 14 got first class (60% and above but below 70%), 53 got second class (50% and above but below 60%), 26 got pass class (35% and above but below 50%) and unfortunately 12 failed. And as you can guess, most of them never went for tuitions. Because they believed in their Didis and Bhaiyyas and more than that they believed in their own abilities. It would be a shame if we cannot help them cross this financial hurdle on their way to Junior College. 10th standard board was just a beginning. Our amazing students are going to do wonders in life, as they not only can evaluate, synthesize and create challenging content, but independently demonstrate values of honesty, empathy, grit, teamwork and respect and also operate using own strengths and weaknesses, often solve challenges and leverage opportunities in the community and the world around. It would be great if you invested a little in the Change Makers of tomorrow. Thank you for contributing to this fund-raiser. It was a great sight to see humanity in action without boundaries. Your contribution is going to serve the purpose of making a remarkable difference to this society and revive the fact that humanity still exists. 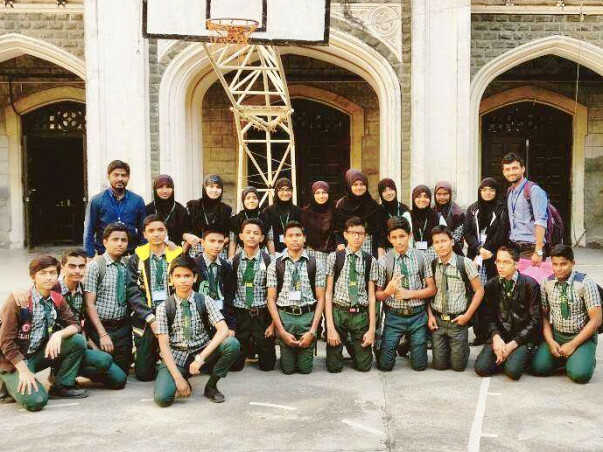 Our students have secured admissions into top colleges of Mumbai like Jai Hind, Swami Vivekananda, Rizvi, Somaiyya etc. They have also joined top IIT, medical and commerce, arts coaching classes in their quest to fulfill their dreams of becoming a software engineer, a doctor, an astronaut, a chartered accountant, an archeologist etc. These opportunities which the children from middle class families think as necessity, for our children they would be considered as luxury. Thank you for your support once again.